On May 18, Wall Street analysts weighed in on newly public self-storage REIT National Storage Affiliates Trust (NYSE: NSA) after an IPO which generated less equity cash than had been projected. The original IPO price range for National Storage was publicized to be $15 to $17 per share; however, NSA shares have traded in a range of $12.70 to $13.65 since the REIT's debut. This has resulted in the NSA balance sheet having a higher initial debt to total enterprise value than was anticipated at the time of the IPO. 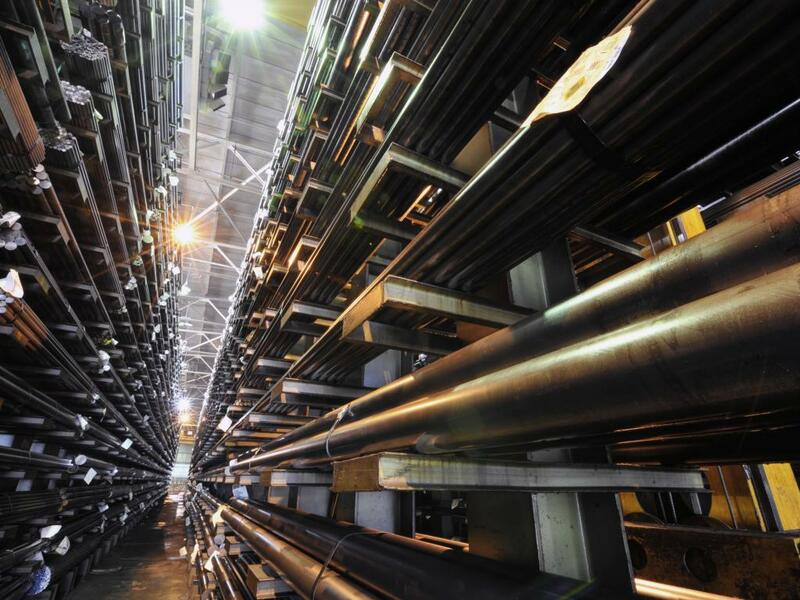 NSA's "dual-currency" acquisition model, is designed to attract best-in-class private regional operators (PROs) to its National Storage platform; by allowing these PRO's a partial sale, plus an opportunity to continue to manage and receive returns based upon SP units which tracking their regional portfolio P&L moving forward. No other public REIT has this complicated structure. The publicly traded REITs who have pioneered this sector, all utilize more traditional acquisition and third party management strategies to grow, including: Public Storage (NYSE: PSA), Extra Space Storage (NYSE: EXR), CubeSmart (NYSE: CUBE) and Sovran Self Storage (NYSE: SSS). The Vanguard REIT Index ETF (NYSE: VNQ) tracks the MSCI REIT Index, a good proxy for the broader equity REIT sector. 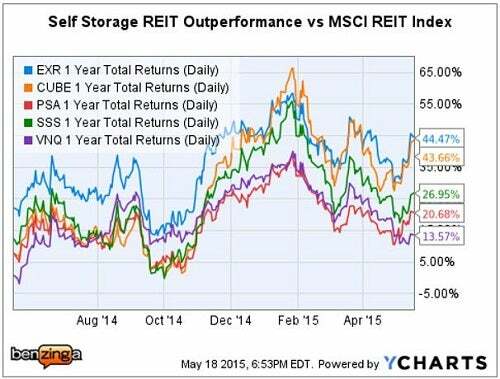 Related Link: The MSCI REIT Index Is Adding These 5 REITs - Should You? After the IPO, National Storage in aggregate was the sixth-largest self-storage company, which consisted of self-storage operator in the U.S. with 246 properties containing 13.7 million square feet. One of the issues facing this roll-up strategy is a lack of consistent national branding. The MS base case NSA price target is primarily derived from a 17.5x multiple of 2016E $0.95 FFO, (vs. 19x for SSS, which is the low end of the peer group). Same-store NOI growth for the peer group is assumed at 8 percent; while base case for NSA assumes slower growth of 5 percent per year. 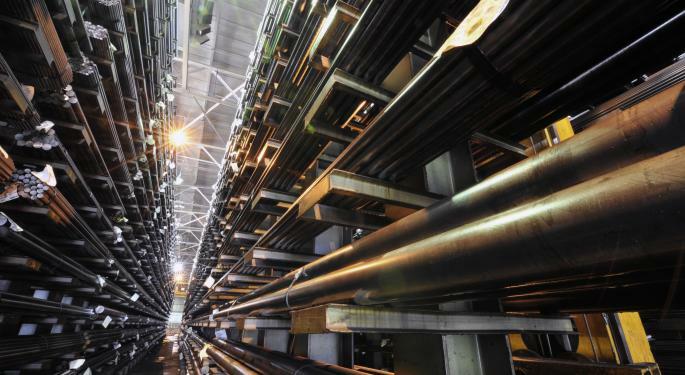 Notably, the MS base case conservatively does not include any other PRO's joining or additional acquisitions other than the existing pipeline. 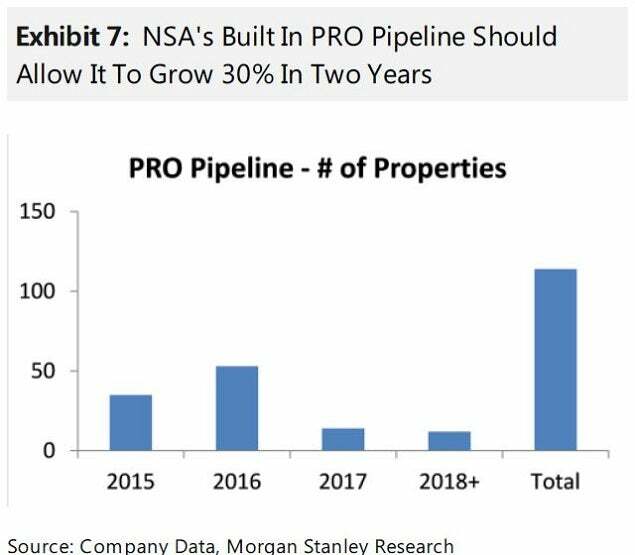 MS noted that the six founding PRO operators "bring a pipeline of over 110 properties, which we expect will allow NSA to grow its asset base by ~30% over the next two years in our Base Case." The WFC model assumes 2015 FFO of $0.78 per share and $0.87 per share in 2016; with 2015 and 2016 AFFO estimates of $0.85 and $0.91 per share, respectively. NSA shares trade at 17x WFC 2015 FFO estimate, which "compares to 22x for the other 4 self-storage REITs under coverage." 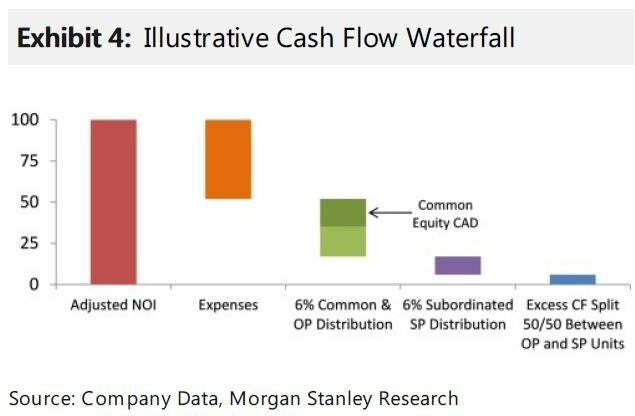 The high end of Wells valuation range "represents the result of [its] net asset value (NAV) estimate of $14.00 per share." Notably, WFC feels that NSA management has sufficient self-storage and operational REIT experience to manage the anticipated "roll-up" growth and help develop more sophisticated branding and marketing initiatives to better leverage a national platform. Related Link: Wunderlich Likes The JCAP mREIT IPO: Could It Be A Better Mousetrap? With only six initial PROs, NSA has a more concentrated portfolio than its larger public peers. Investors who buy NSA shares are sharing ownership with similar PRO OP units (effectively 1:1); and with PRO SP (subordinated performance) units which skew the upside for PRO operators, while also acting to dampen potential downside risk for common shareholders. Wells Fargo's thesis that investors will wait to see how things go prior to buying appears to be playing out initially; however, this appears to significantly discount NSA's upside potential. SunTrust Robinson Humphrey has also initiated NSA shares at Neutral; while Jefferies has initiated NSA at a Buy rating, with the most optimistic price target of $17 per share. Meanwhile, Morgan Stanley also noted that the projected NSA dividend of $0.76 per share would yield ~6 percent based upon NSA's current share price; so it appears that bullish investors can benefit from a premium yield while this story evolves.